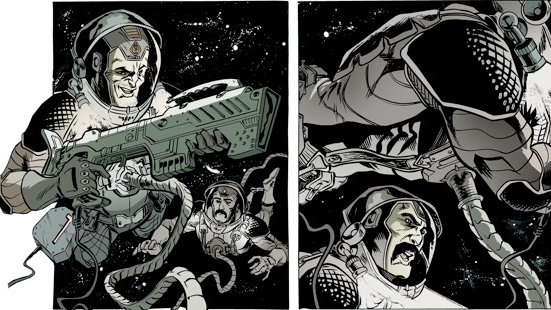 There has been a big argument among the sci fi community on whether comics should be part of the definition of sci fi. Personally, I tend to agree with this but I also understand why some folks might be against this idea. To remedy the situation, I want to flash out some current comic titles in 2016 that have a strong element of science fiction. This is one of my current favorite comic series by Johnathan Hickman. It tells an epic end of the world storyline that spans multiple parties and regions. If you like your science fiction stories to have world building, grander settings and tonnes of characters, this is the book for you. Each of the character is no wallpaper. They have powerful and distinct personalities that makes you want to know more about their life stories. Currently, there are a few TPB released. Volume one is a great opening act and sets the stage for what is to come. Vol 2 focuses more on the individual fractions to give you a great understanding on their motivation and settings. Vol 3 picks up the pace again and rushes to an exciting clash that carries over to Vol 4. 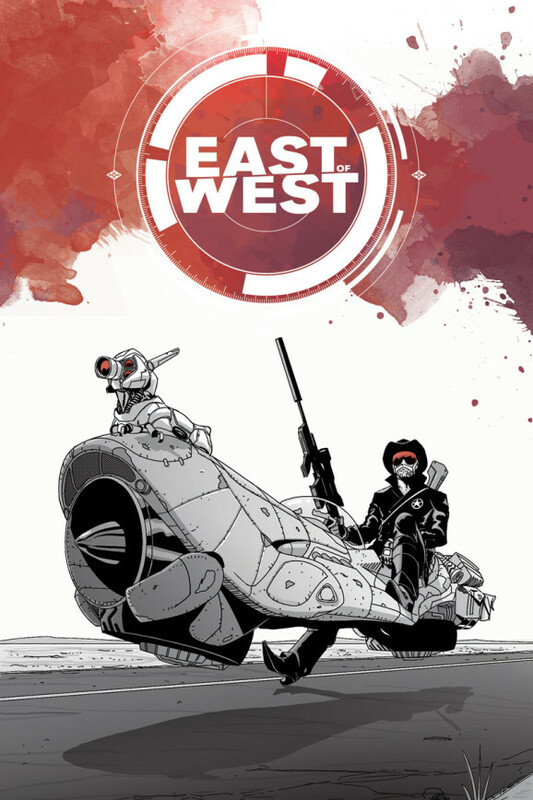 The biggest praise I can give East of West from Image Comics is that it feels like the Game of Throne for comics in a sci fi settings. Highly recommended! The same author, Johnathan Hickman, also wrote the Avengers. Under his writing, the Avengers team became more than a just a superhero team. It became a force that deals with threats beyond the typical villains. We are talking about universal collapse, time space continuum and all other stuff that happens frequently in science friction themes. Within the storylines, you will see different theories about parallel universes and lots of technology talk. 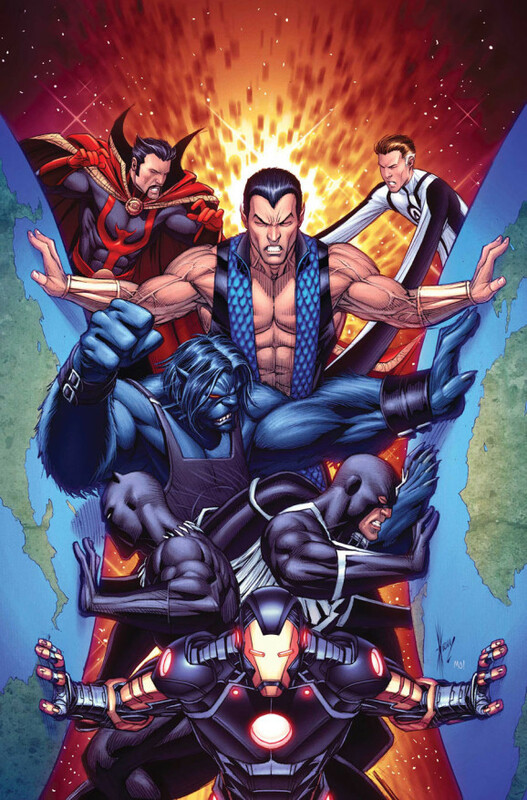 If you are a sci fi geek, reading this New Avengers will let you see the team in a different light. 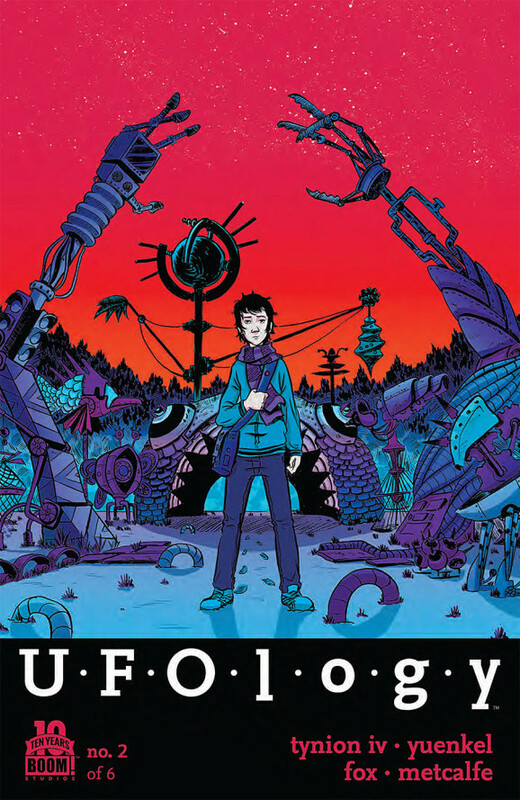 The main storyline for this is complete and you can read through everything now by getting all the TPB under volume 3. Valiant comics only produces less than 10 comic series a year but boy are they good. 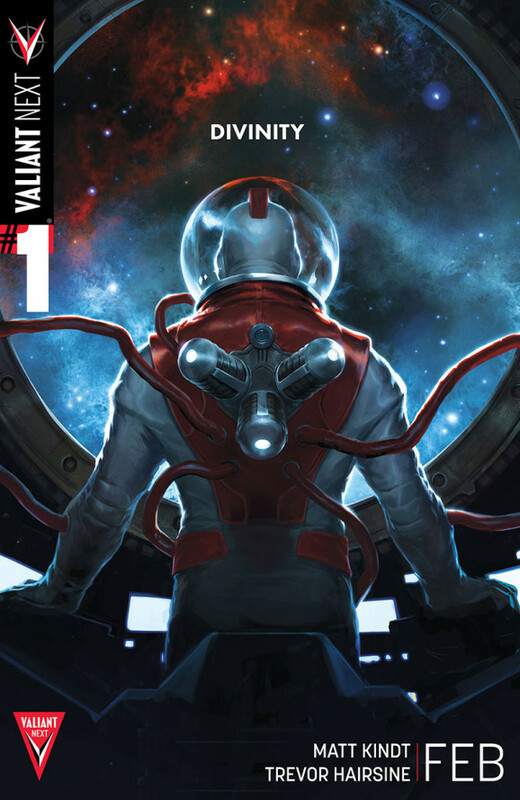 Divinity is one of them and has the most Sci Fi influence among all their titles. It tells the story of how an astronaut, being rushed to space, manage to gain god like powers. The origin of these powers lend themselves to epic tales of space and universal story telling. The good news is that it is only a 4 issue mini series and reading through them shouldn’t take much of your time. Volume 2 will be out in 2016 and is something I look forward to. For this comic, special mention must be make to the art. The artist developed such colorful and visually interesting images of alien worlds that it is a joy to flip the pages and see what is coming up next. If any book in this list takes full advantage of its visual roots, this is it. Want an E.T. story but with a twist? UFOlogy is your answer. It tells a story of 2 boys’ encounter with an alien. Part of the appeal for this book is guessing the origin of the alien and what is its true intention. The other part is the dynamics between the 2 male leads who have such different personalities. These additional elements add a lot to the E.T. mold of child meets alien/robot. 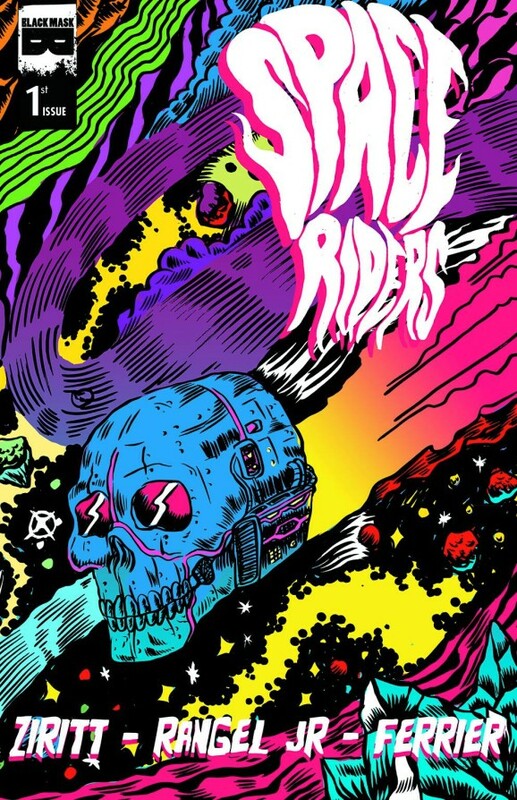 If you like a bit of mystery in your sci fi comics, try this. 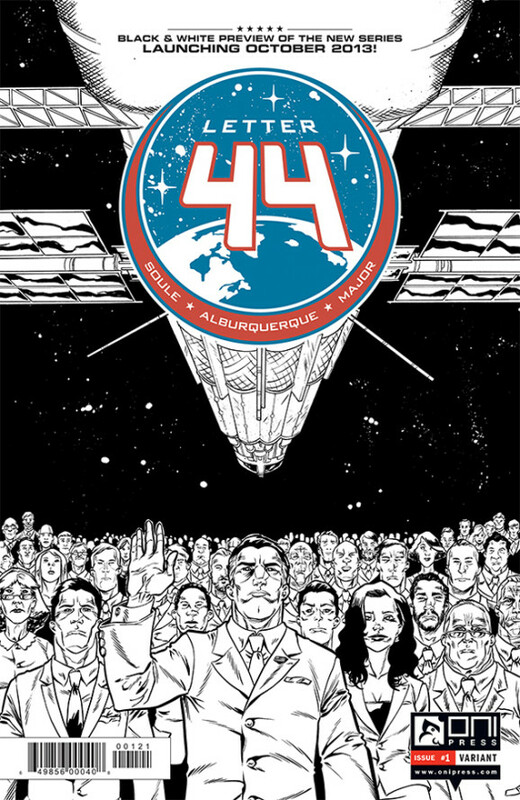 Part politics part space sci fi, Letter 44 threads a fine line between these 2 genres and that makes it a great read. As you read each issue, you have the feeling of peeling off an layer of story that stacks on top of one another to form a great mystery that has its roots in space. With a TV pilot on its way, I can’t wait to see this on my small screen. There are more great Sci Fiction comics in 2016 outside of what is listed above. However, these are what I think is the best and I am confident in recommending them above others.